Maria* is 13 and lives in Temwaiku village, Tarawa Island, in the Pacific country of Kiribati. She attends the Junior Secondary School and likes learning new things. The afternoons are hot and as the breeze from the ocean breaks the stillness in the air she usually comes out of the tiny Buia which she shares with her family. She walks around on the road with her friend Maki*- they giggle and share stories of the day in school, the happenings in the village…There are no playgrounds in Temwaiku. In most places the island is too narrow and all available land is needed for houses, schools, churches, cemetery, stores, clinics, etc. Sometimes Maria joins the boys and kicks the football. They play on the main road. 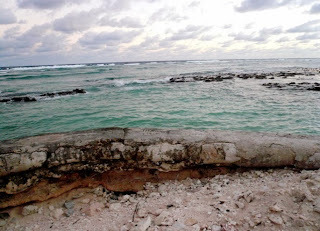 Tarawa has only one main road that connects from one end of the island to the other. Children, piglets and dogs are in the road most of the time. The drivers have to be extremely cautious, especially in Temwaiku. I see Maria quite often in early evenings with her friends. When I asked her what she likes most the first time we met, her response was quick –I love drinking beer… and whenever she gets a chance and has the money she buys beer. 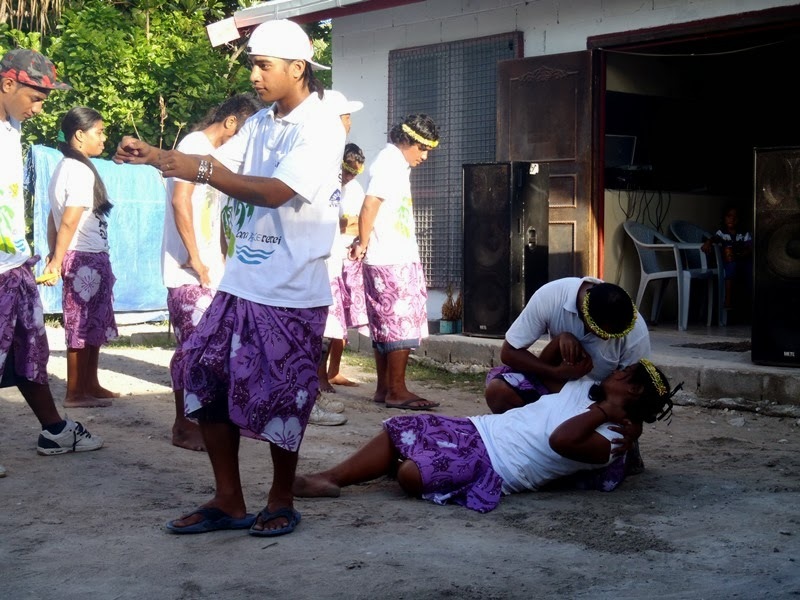 Teenage drinking is a big problem in Kiribati. We started to talk…. Maria and Maki now know about UNICEF. They want to bring their friends and have discussions at my residence regarding uniting against underage drinking. It will take time to change behaviour, I am aware, but it is good to begin the discussion. Drinking is a part of the culture- the local brew or Todi is made from the juice of the coconut tree. It turns into alcohol after fermentation within a few hours. With adults, children get to taste Todi from an early age. It is available everywhere, in abundance. Beer and alcohol are sold openly. 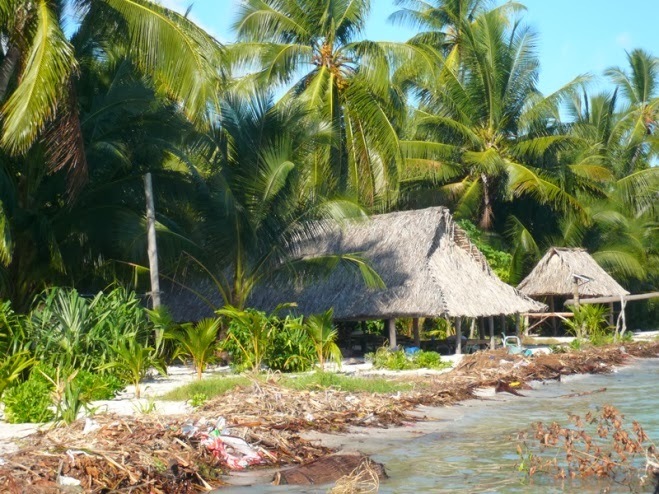 Kiribati does not strictly enforce the ban on underage drinking. Many young girls like Maria, and boys get into drinking – some out of boredom, some for the ‘kick” of it or under the influence of peer pressure and some others due to lack of proper adult/parental oversight and guidance. Underage drinking is one of the culprits for risky behaviours among the adolescents and the youth. Research shows that in the age group of 15-24 years, one person out of three has at least one sexually transmitted infection in this country. Teenage pregnancy is also high- about 20%. The correlation between domestic violence and alcoholism is well known in Kiribati. About 68 per cent of girls and women (15-49 years old) are victims of domestic violence, according to available research findings. Growing up in difficult conditions, with poor, limited support to their onset of puberty also pushes adolescents to seek refuge in alcohol and substance abuse or to express their anger through unruly behaviour. 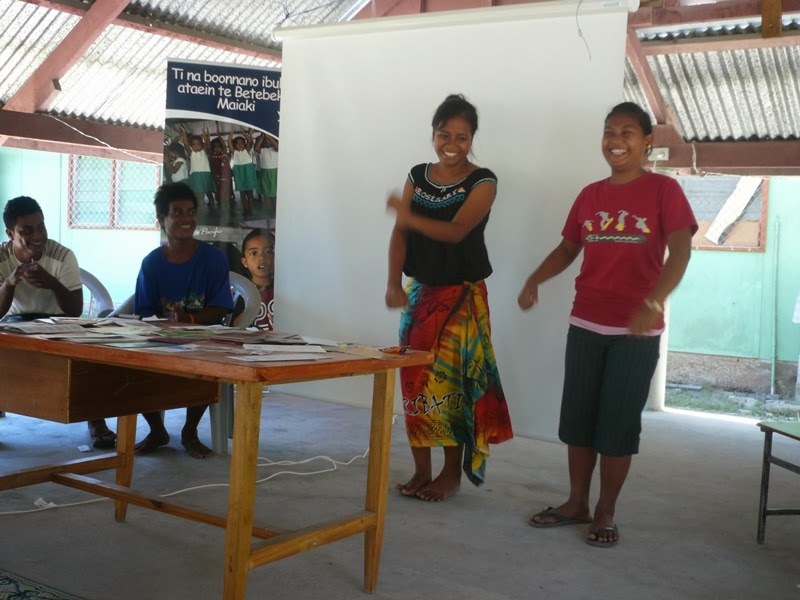 UNICEF Kiribati focuses on programmes to empower children and young people so that they can take more positive control of their lives. In partnership with the Community Police, diversion programmes are being implemented in South Tarawa and some outer islands with involvement of the communities and the youth to help them avoid risky and unruly behaviours. Under UNICEF’s sponsorship all police officers (400 in total: among them 20 are females) in the entire country has been trained on child friendly procedures and skills to handle children who are in conflict with the law. 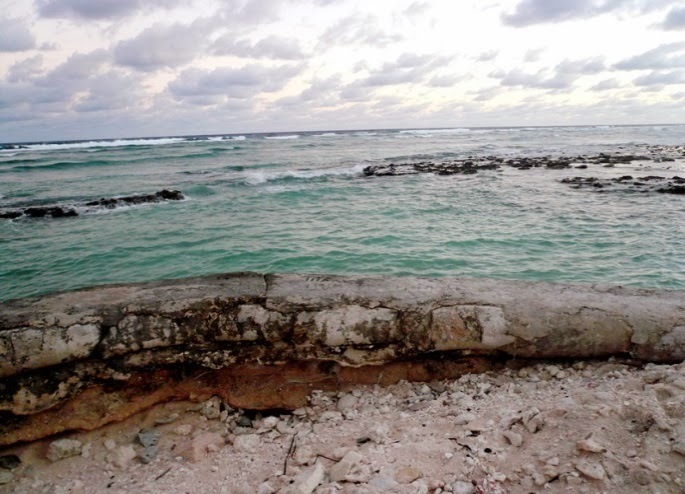 Offenses are all acts of disrespect to Kiribati culture or harm to others by violating their rights. Offense is mainly related to alcohol use and associated unruly behaviours. Children as young as 13 to 17 years old are engaged in drinking and while drunk they throw stones at vehicles, shout, use obscene language, get into street fights, and other risky acts that may cause harm to themselves and others, etc. The records provided by “community police” show that the offences are more often committed by adolescents/young people from dysfunctional families and children out of the education system. There is no specific Act/Provision for young people facing justice but the international juvenile justice principles are well accepted and have been applied in all police stations and by single or lay magistrates in the court. Development partners and the Government realize the need to engage the youth as a strong voice to advocate against violence in their families and communities. They use entertainment-education strategies to raise awareness: street theatre/drama, songs and dialogues. The Betio town council has joined hands with UNICEF to protect the under age from the influence of alcohol/substance abuse. Discussions are underway for implementation of bi-laws- based on the recently developed Betio council plan with UNICEF’s assistance that pledges to create a better environment for children and the youth. Under the technical guidance of UNICEF and Ministry of Internal and Social Affairs, interactive sessions are being implemented with adolescents/youth to raise awareness among them to make healthy life choices. 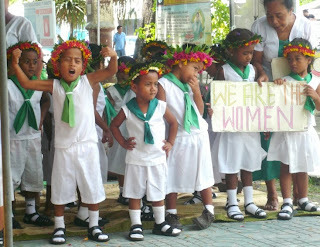 “Little women”of Kiribati- we are investing in them! Government is committed to the International Convention on the Rights of the Child and legislative reforms are taking place with UNICEF’s support to create a protective environment for children and the youth. 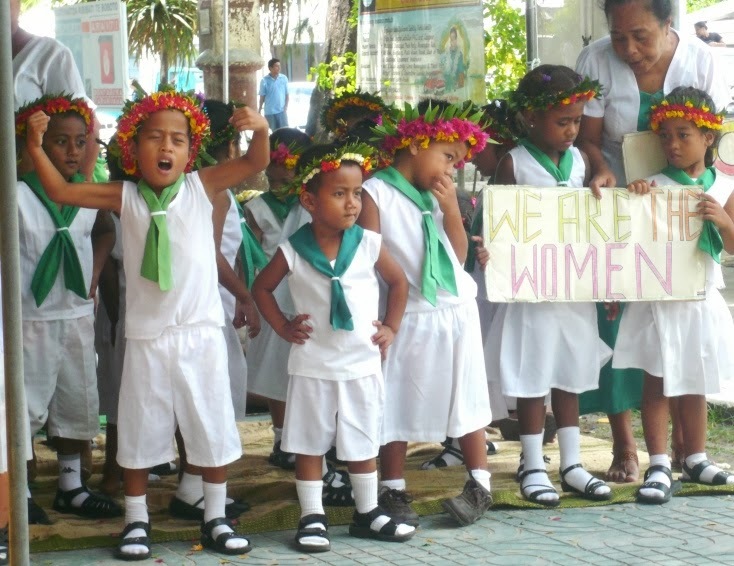 The “Children, Young People and Family Welfare” Act is now ready to be implemented to ensure that the children and the youth in Kiribati lead a life that offers love, protection, dignity, and intellectual and spiritual growth.